Search Engines are getting smarter and smarter every day, without professional search engine consultant, it is hard for any website to achieve desired results. Many companies think of hiring in house SEO which is not feasible for all business, so we at Free Spirit Media marketing solution came up with professional kick start SEO Packages which is suitable for any type of business. Kick Start your Site Promotion with ultimate Professional SEO Packages built taking into care small and medium sized business. In Order to build stable and top search engine ranking position it is very must for any site to create proper search engine marketing strategy, without such it is very much impossible for any site to rank in search engines. Ready to get started with a proven SEO Plan or need more information? We will listen to your goals, review your website and analyze your competition and give you our honest option and what you can expect with our SEO package – all for free. Contact our Search engine experts to discuss your needs. 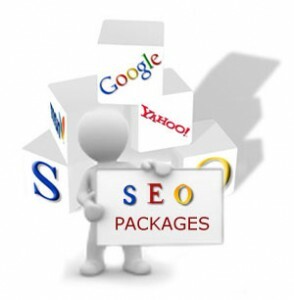 Search Engine Packages Price start as low as $200. Are You Looking for a SEO package? Boost Your SEO Campaign with a Budget SEO Starter Package at a price of just $200. Theres no single size-fits-all SEO plan – almost all businesses have specific needs and goals and this package has been designed to suit your needs. Kick Start your Site Promotion with ultimate SEO packages built taking into care small and medium sized business. In Order to build stable and top search engine ranking position it is very must for any site to create proper search engine marketing strategy, without such it is very much impossible for any site to rank in search engines. Kick Start your website promotion with ultimate SEO link booster packages built taking into consideration the needs of small and medium sized business. In Order to build stable and top search engine ranking position it is very must for any site to create proper search engine marketing strategy, without such it is very much impossible for any site to rank in search engines.